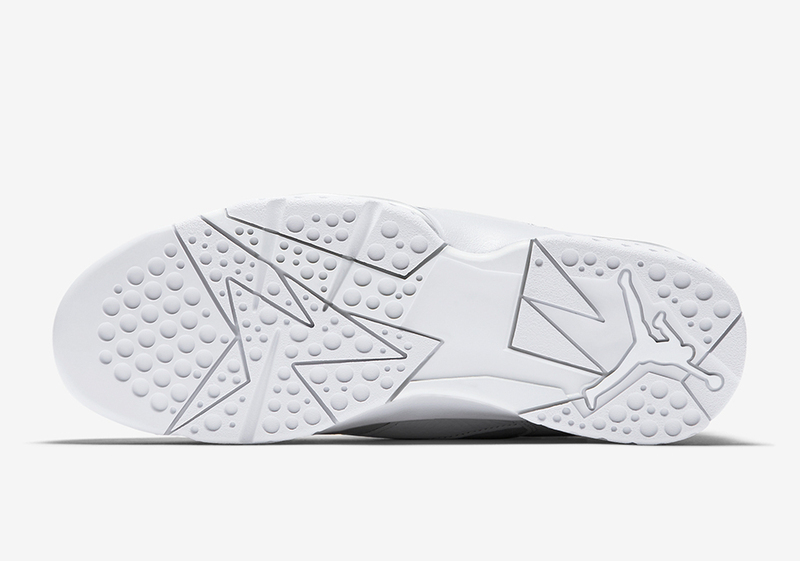 June is going to be a huge month for Jordan Retros. 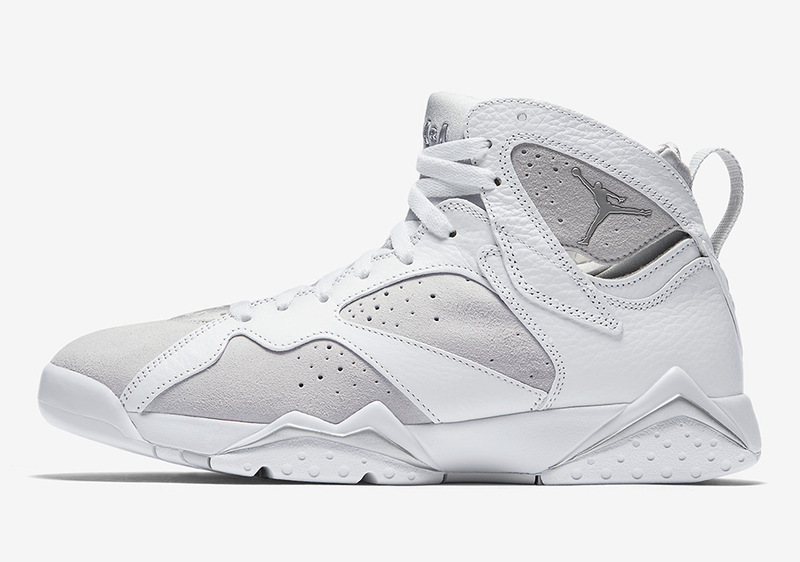 Not only are we getting the Air Jordan 13 “Playoffs”, the Air Jordan 13 Low “Chutney”, and the Jordan Spi’zike OG “Cement”, but today we get word that the Air Jordan 7 “Pure Platinum” will also be available on June 3rd, cementing the month of June as another strong month for retro silhouettes from the Jumpman. 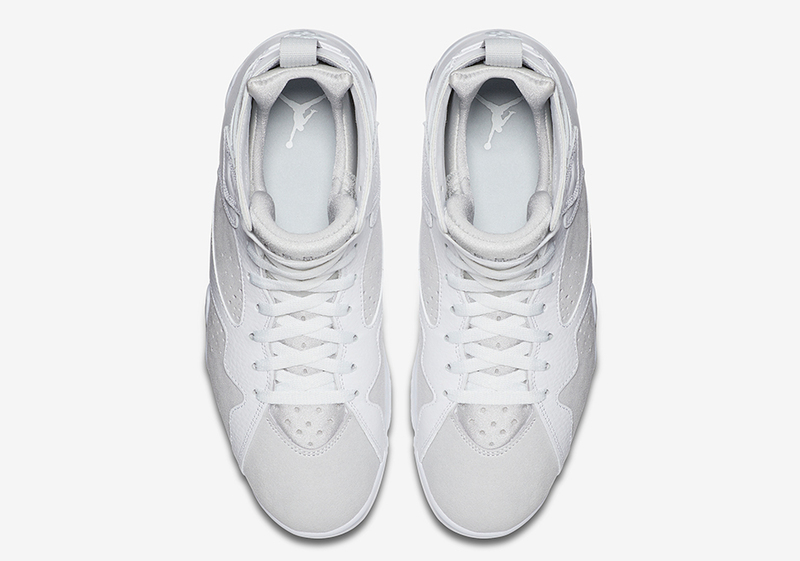 The Jordan 7 Pure Platinum, also known as the Jordan 7 Pure Money, takes Mike’s lauded 1992 retro silhouette to task with a premium combination of all white tumbled leather and Pure Platinum panels in suede for a look perfect for Summer 2017. 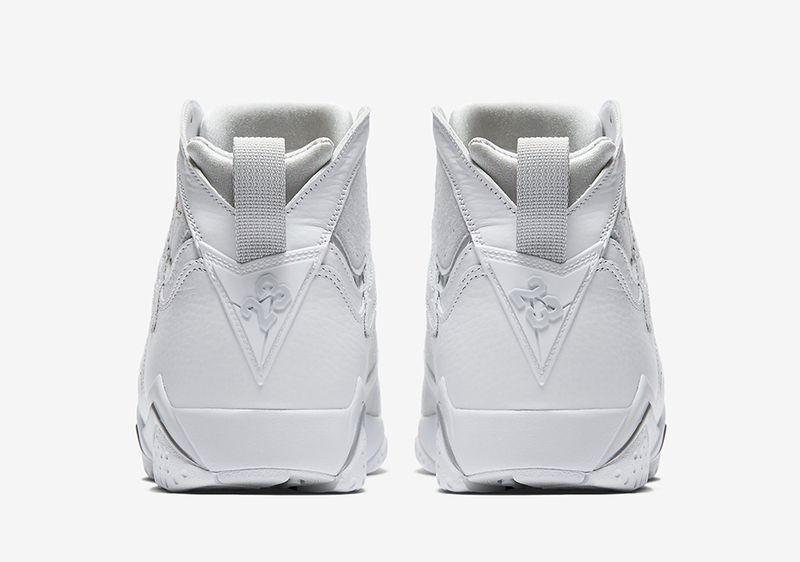 The clean nearly all-white aesthetic is accented by Metallic Silver Jumpman branding and a neoprene tongue that skips out on the usual jagged graphics inspired initially by Bugs Bunny’s love of carrots for a simple, yet elegant look that you’ll want to keep as clean as possible. 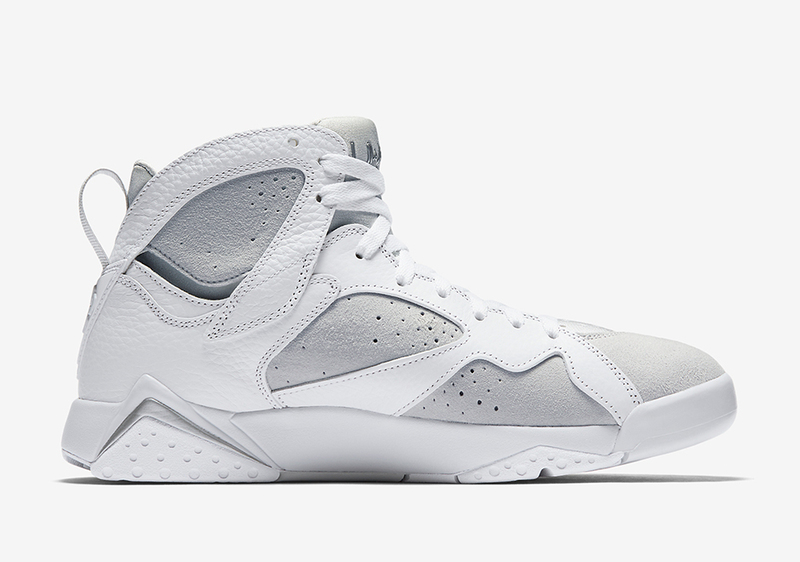 This is a new look for the Jordan 7, as it’s not a silhouette that you’d necessarily associate with an all-white colorway given the sneaker’s vibrant colorway history ranging from the Bordeaux, Raptors, and Hare options, but we’re excited for this new edition nonetheless. 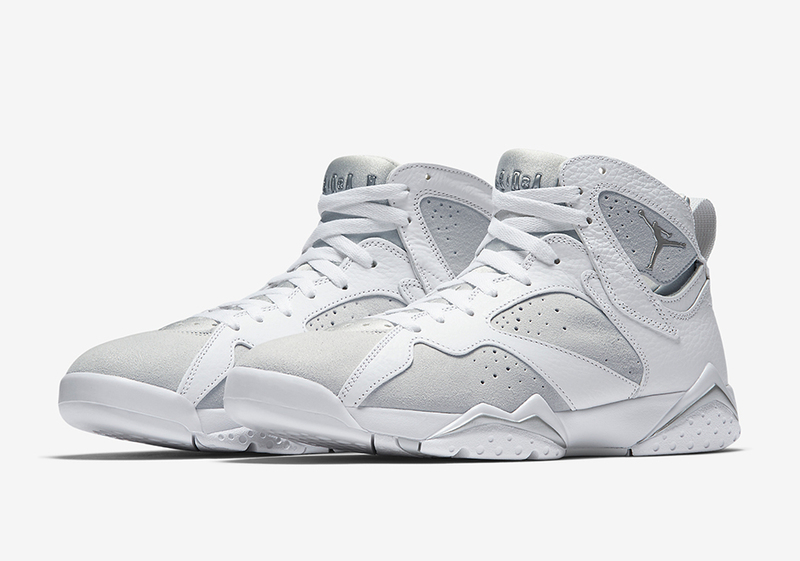 Will you be picking up a pair of the Jordan 7 Pure Platinum this June? Check out more detailed shots below and head over to our Jordan Release Dates page to stay updated on all of the latest Jumpman offerings for the foreseeable future.